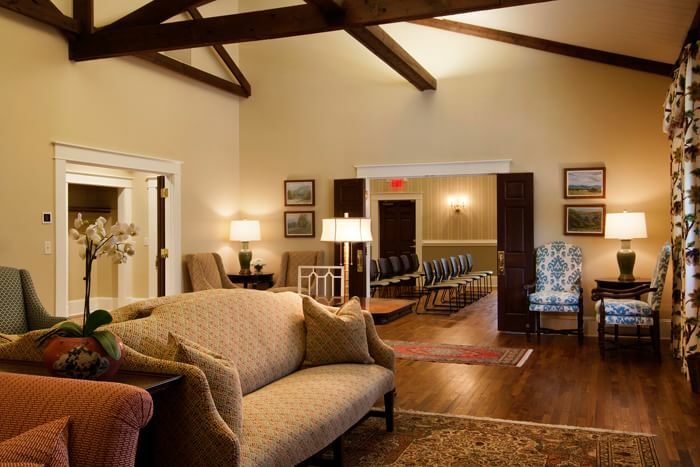 At Wells Events & Reception Center you will find a variety of room options. 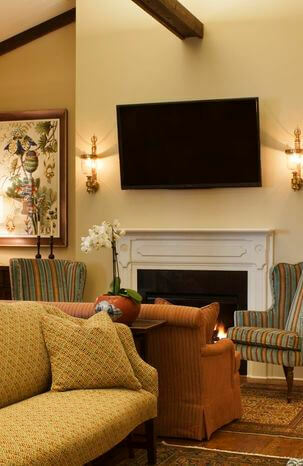 Located on 2 levels and accommodating up to 175 guests, our rooms offer adequate space to fit your needs. 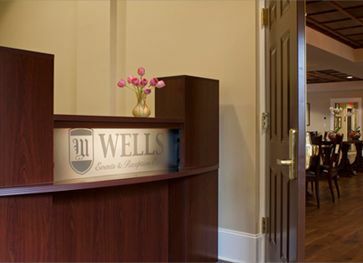 Each room at Wells Events & Reception Center is named in memory of members of the Wells family, honoring the commitment and excellent level of service provided to our community through 5 generations for more than 125 years. 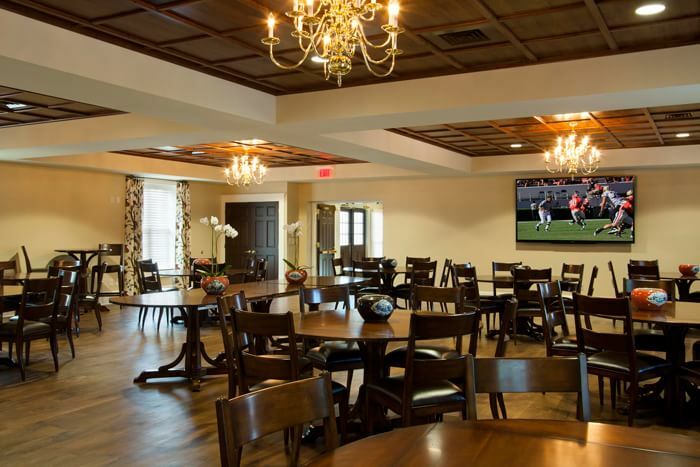 Our rooms are equipped with free wi-fi and state-of-the-art audio/visual equipment, including 60", 70" and 90" wall-mounted flat screens, wireless mic and Bose sound. 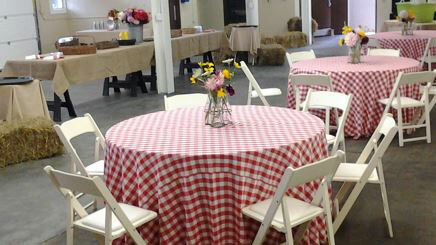 Our Events Coordinator can provide catering menus and vendor recommendations to assist you in planning your event. 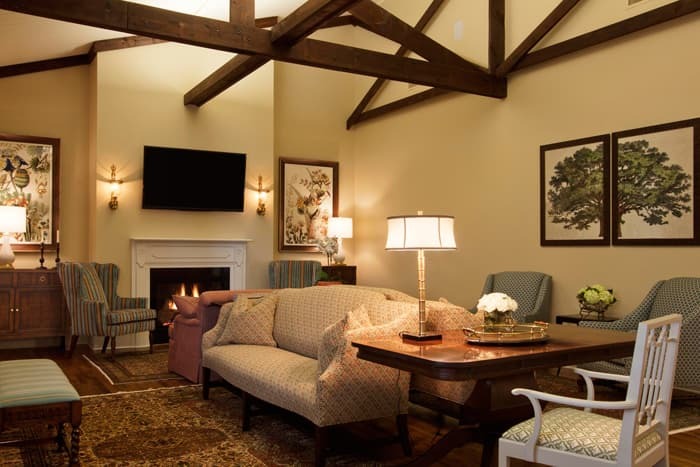 As you enter Wells Events & Reception Center from the porte cochere, the Miriam Lobby welcomes you with comfortable seating, botanical prints, gas log fireplace, original oak flooring, exposed beams and a 60" wall mounted flat screen. 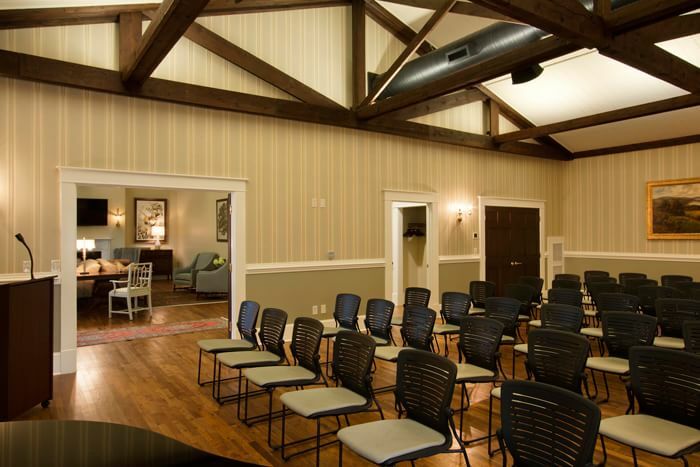 Located adjacent to the James Room, The Miriam Lobby is included with the rental of all upper level rooms in the event center. 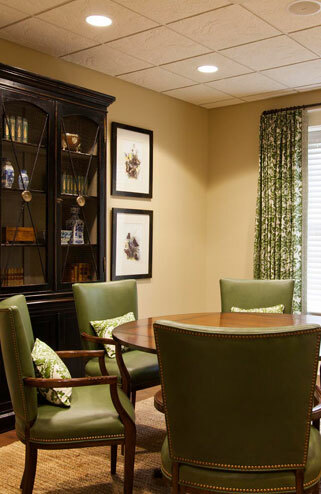 The James Room, with 800 square feet of floor space, can accommodate up to 40 seated guests. 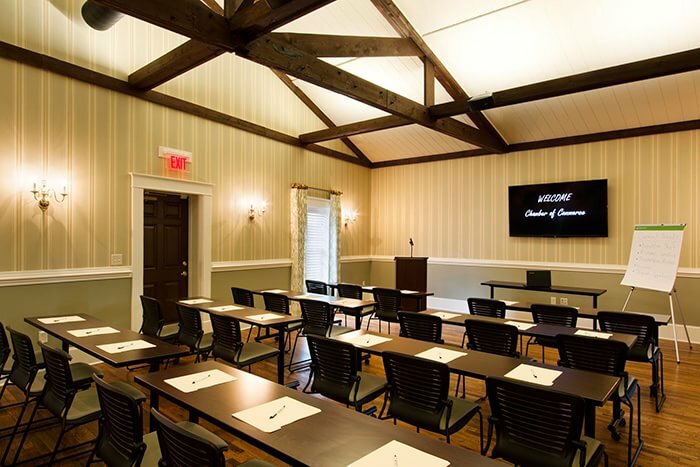 Spacious enough for a small wedding ceremony or reception, a memorial service or celebration of life reception, the James Room can also accommodate bridal and baby showers, group luncheons, private dinners, meetings and seminars. With the addition of the Miriam Lobby, there is adequate and comfortable space for up to 75 reception guests. 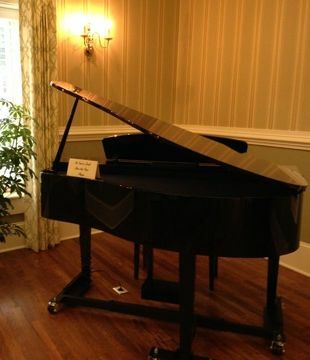 State-of-the-art audio/visual equipment includes a 70" wall-mounted flat screen, Bose sound and Clavinova piano, all of which make the James Room well equipped and ready to host your next event. 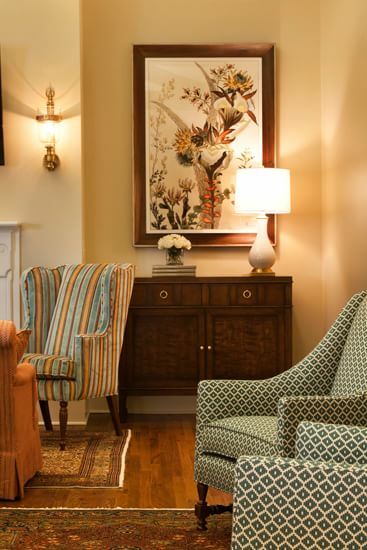 Wood flooring, brass chandeliers, pedestal dining tables and leather seating are part of the elegant décor of our 2000 square foot Patrick Room. The most spacious of our upper level rooms, the Patrick Room accommodates up to 100 seated guests and 175 guests for a standing reception. Perfect for hosting celebration parties, corporate meetings and retreats, class reunions, training seminars, awards banquets, funeral receptions and family meals, wedding events and holiday gatherings, the Patrick Room is equipped with a 90" wall-mounted flat screen TV and Bose sound that provides excellent audio/visual capabilities for a DVD of memories, Power Point presentation or an upcoming sports event. 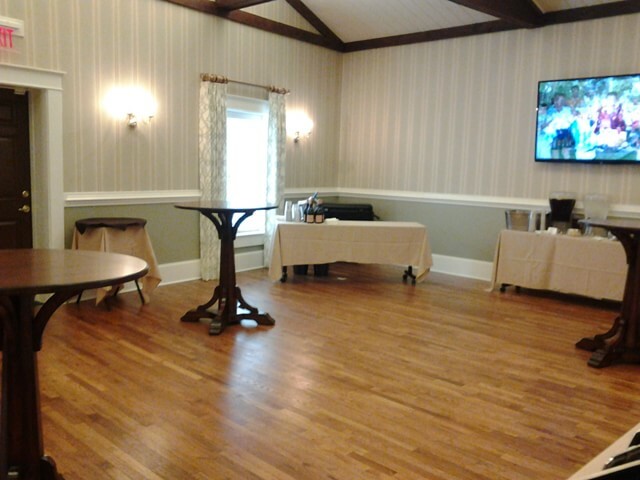 Spacious enough to accommodate a small band or DJ and dance floor, plan your next special event in our Patrick Room. 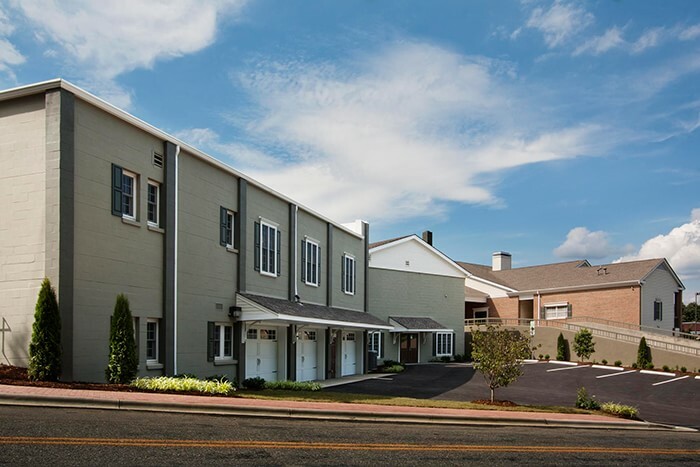 The rear entrance to the lower level of Wells Events & Reception Center takes you into 2500 square feet of open floor space that was previously the printing press of the local newspaper. A great space for more casual events and seating for up to 125 guests, the Broadway Room is an industrial style space with corrugated metal walls, exposed steel support posts, stone-flake solid-surface flooring and (3) large garage doors. Perfect for themed parties, family and class reunions, meetings, workshops, children's parties and sports team celebrations. 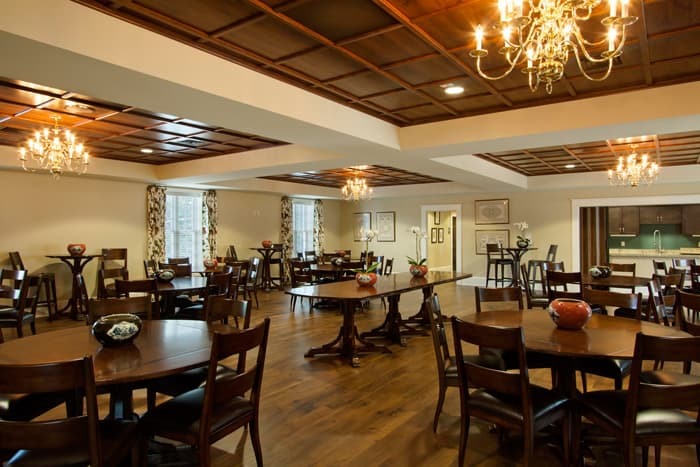 The Broadway Room provides space for large casual gatherings. 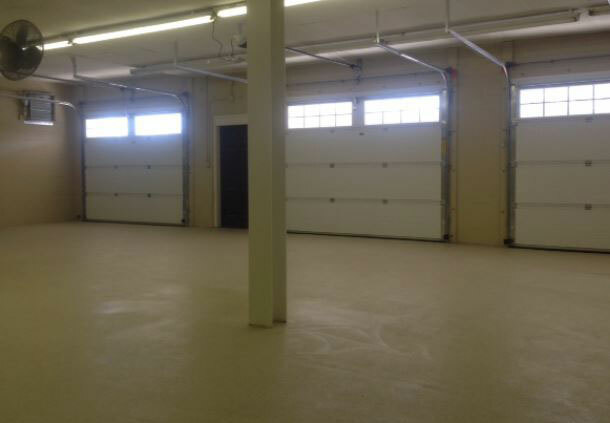 Weather permitting, wall of garage doors can be raised to allow for additional outdoor space for a larger number of guests and outdoor activities like corn hole and BBQ gatherings. Our Events Coordinator can assist you in planning your special event to include a DJ, band, dance floor, games and more. Contact us to book your next celebration. *Our room rates start at $375. Our total package rates will vary depending on your exact needs, the number of guests you will have and the amount of time needed. We encourage you to contact us for a facility tour and event quote.